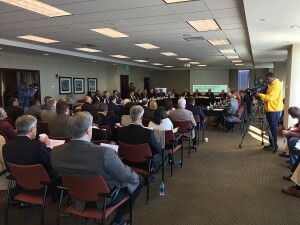 For the first time in years, the Southern Rail Commission held their quarterly meeting in Mobile, Alabama. The Southern Rail Commission works to promote safe, reliable and efficient movement of people and goods to enhance economic development along rail corridors across the Southeast region. Their goal is to engage and inform public and private rail interests to support and influence Southeast rail initiatives. 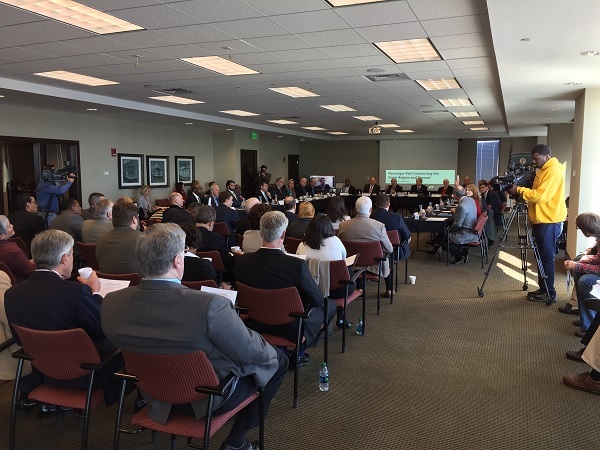 Along with the commissioners from Louisiana, Mississippi and Alabama, several mayors of cities along the Crescent Line (New Orleans, La to Atlanta, Ga) joined the meeting to discuss how rail has impacted their communities. Recurring themes of interconnectedness, economic development and sharing of best practices were evident in the positive reports from regional mayors. 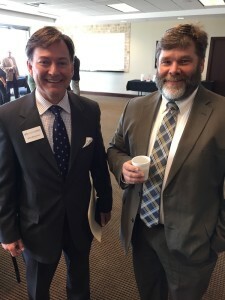 Mayor Vaughn Stewart, of Anniston, Al and Mayor William A. Bell, of Birmingham, Al both talked of the importance of rail and bike paths to mass transit, allowing residents to more freely move about their communities. 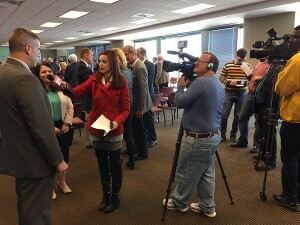 Mayor Walter Maddox, of Tuscaloosa, Al, shared Tuscaloosa’s plans to build a new $8 million station in an area of town previously decimated by tornados, which will provide an opportunity for 12,000 riders per year to access the City of Tuscaloosa and with bike and pedestrian paths connecting the station to the University of Alabama campus. Mayor Johnny DuPree, of Hattiesburg, Ms, relayed the economic impact of their renovated 1910 train station. Not only has ridership increased 60%, but over $70 million has been invested into a three block area surrounding the depot. In the City of New Orleans, renovated and revitalized intercity rail service has led to $2 billion in economic development. All mayors called for sharing of best practices and encouraged work with Amtrak to develop service, stations and additional transportation options for communities. 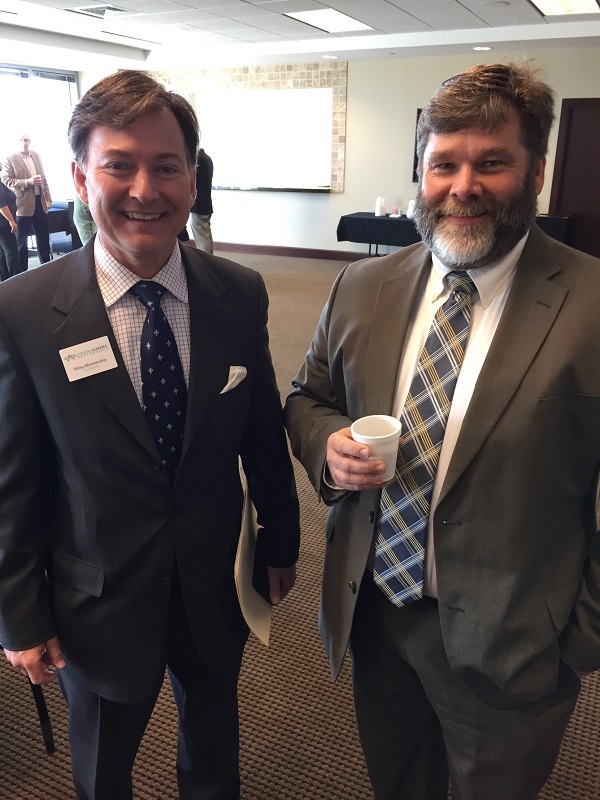 Following such positive news from these active, rail cities, Commission Chairman Greg White invited Joe McAndrew with Transportation for America, to share the latest news from Washington, D.C. regarding the recent passage of a transportation bill. 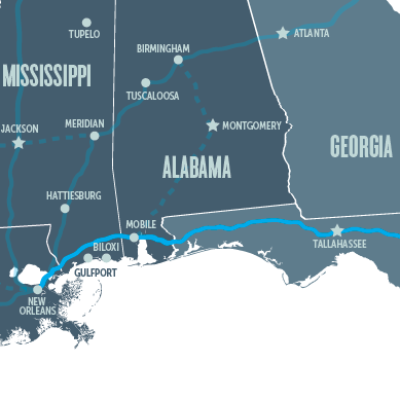 The most exciting news of the new FAST Bill is the inclusion of dedicated money for a feasibility study for potential renewal of the non-defunct Sunset Limited line, from New Orleans, La to Jacksonville, Fl. Next, Rod Stewart of Amtrak addressed the group. He expressed how pleased Amtrak is to have been included in the FAST bill and how excited they are to work with these mayors and communities to bring rail service back to the southeast region. With 30 million riders per year across the United States, Amtrak believes people are looking for different modes of transportation. “Trends we are seeing, with the loss of inner city bus trans and loss of regional air; we need to look at this and how do we work to improve inner city transportation options,” said Stewart. While Amtrak connects over 500 cities, many of which aren’t connected via air; “it’s critical not only in major metro but also in small town USA,” said Stewart. As the meeting wrapped up, there remains a strong desire to work together to bring rail service back to the Gulf Coast. While there is much work to do, it seems the Commission, Amtrak, Transportation for America and these community leaders are ready to work hard to bring this transportation option back.